The loss of a tooth is often a worrying event. Gaps in the smile are highly noticeable and feel strange in the mouth. Losing more than one tooth means the ones left behind have to put more effort in to process your food. It’s important to consider replacing lost teeth to preserve your dental function and aesthetic balance. 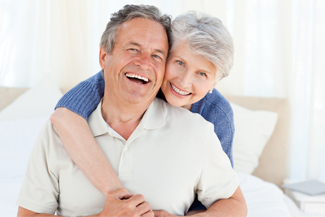 Having dental implants in Gloucester from Implant & Ceramic Dental Studios will give you back what you’ve been missing. Our in-house laboratory will meticulously craft your replacement teeth so they look and feel almost the same as natural ones. Your dental implants in Gloucester are anchored in your jawbone, and remain inside your mouth for as long as you look after them. You won’t have to worry about clips coming loose or adhesives failing to hold. They stay where they are, so you can have more confidence in your day-to-day living. When you come to our innovative dental practice for a complimentary consultation, our team will discuss with you your dental history. We’ll use software to take detailed measurements of your teeth. We’ll also ensure your jawbone is sufficiently robust to receive the implants. A bit of preparatory treatment might be required before the next step. Then you’ll receive your dental implants in Gloucester. It happens in a minor surgical procedure, during which our dentist will place small metal posts into your jawbone. After a short rest, you’ll come back to us to have your new teeth, custom-made by our in-house technicians, attached to the metal posts. The implants preserve your facial bone structure. You won’t take on the sunken appearance that often occurs in people who don’t replace their lost teeth.